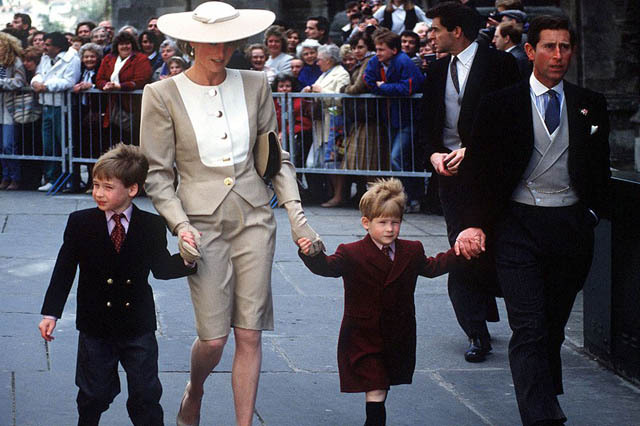 Take a look back at all the adorable royal page boys and bridesmaids through history. 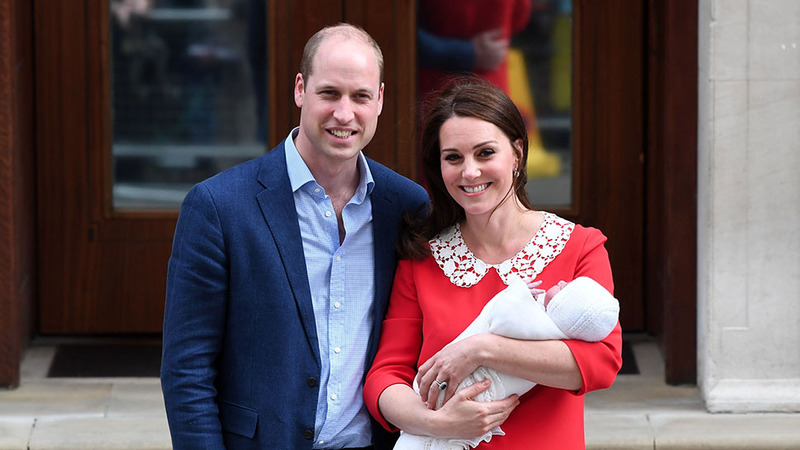 Pippa Middleton may have been the bride, but it was her pageboy Prince George and young bridesmaid Princess Charlotte who really stole the show at the May 2017 nuptials. 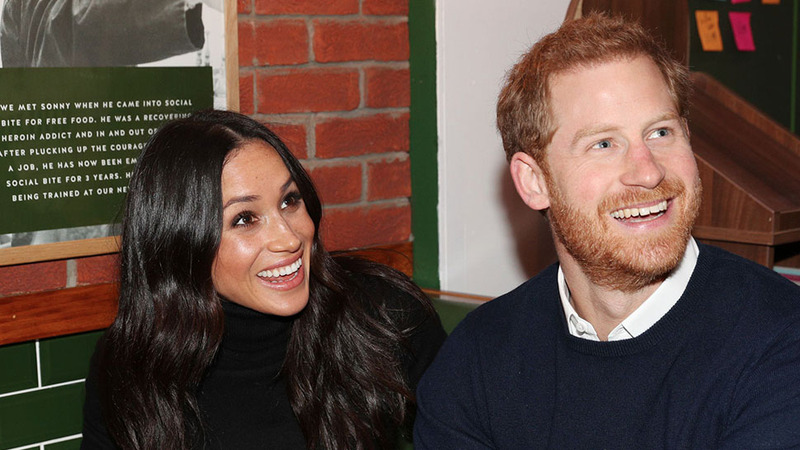 Fortunately for fans of the royal babies, it looks like the brother-sister team could be reprising their roles at Prince Harry and Meghan Markle's wedding in just a few weeks. 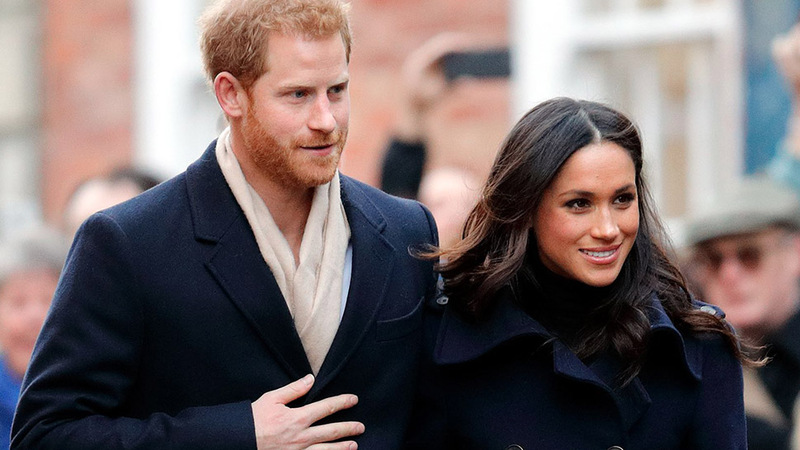 When asked by the Sunday Times whether young George and Charlotte would be in the wedding party, Kensington Palace responded, "The wedding will be a family event. 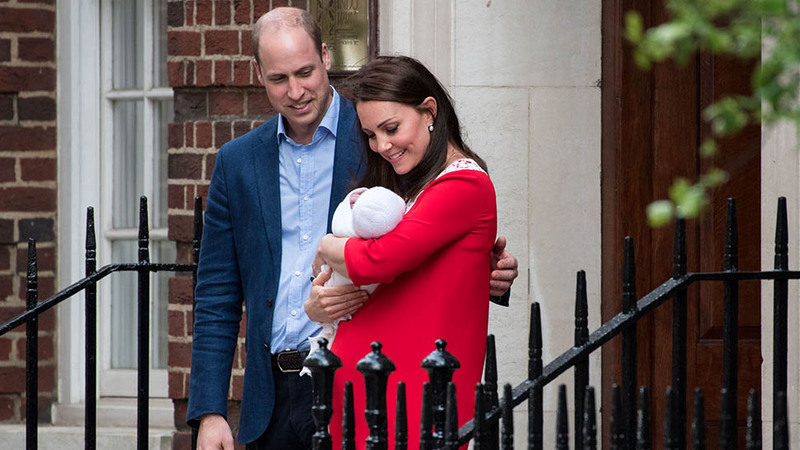 You can expect the family to be involved." 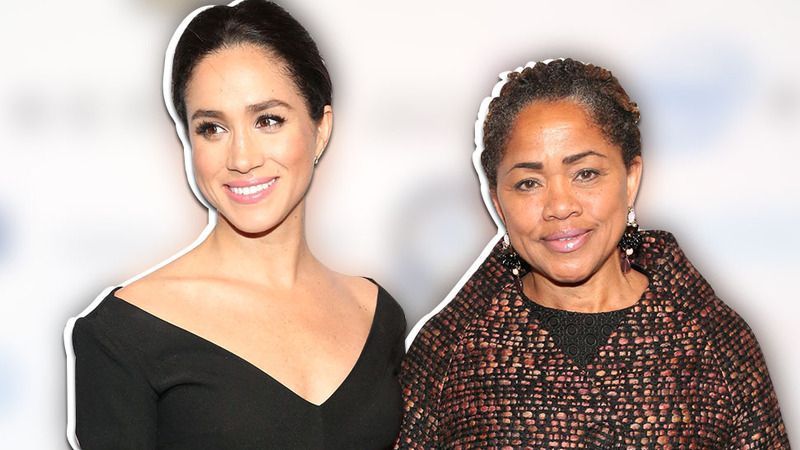 Nothing is confirmed just yet, but given that Kensington Palace just confirmed that Markle won't have a maid of honor and the whole bridal party will be made up of children, we think the odds are good are we'll see George and Charlotte carrying her train down the aisle at Windsor Castle. 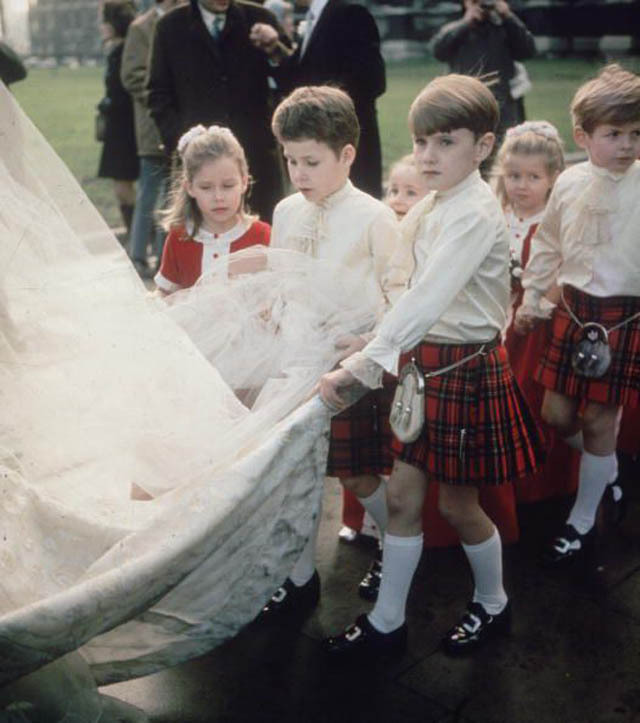 In the meantime, take a look back at royal children in weddings throughout the years. 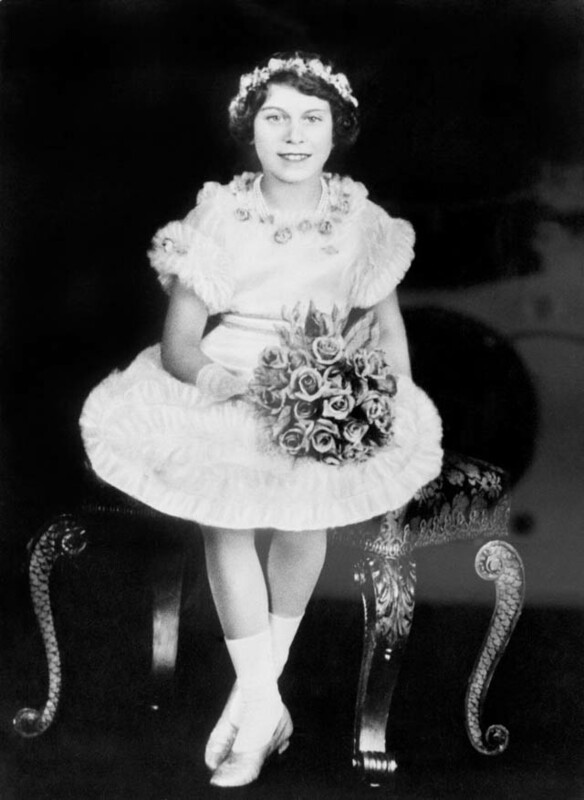 Then-Princess Elizabeth as a bridesmaid in her uncle, the Duke of Gloucester's wedding. 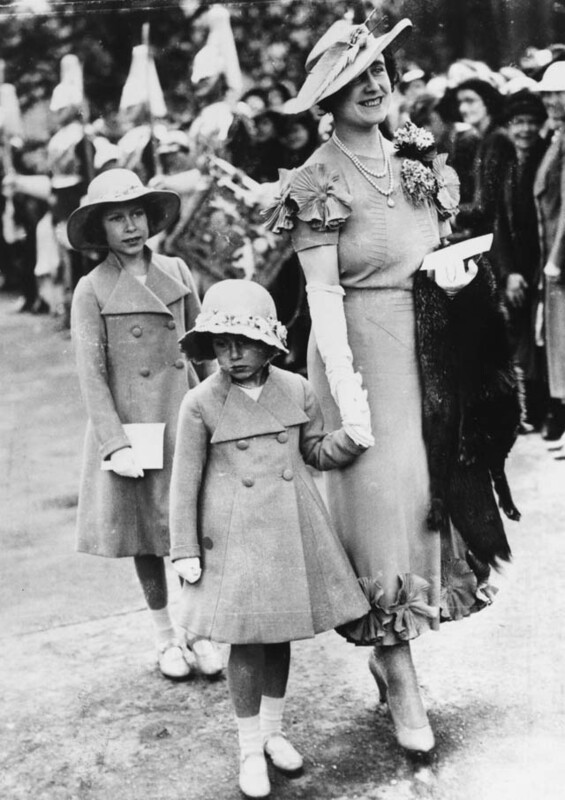 Princesses Elizabeth and Margaret at a wedding in 1936. 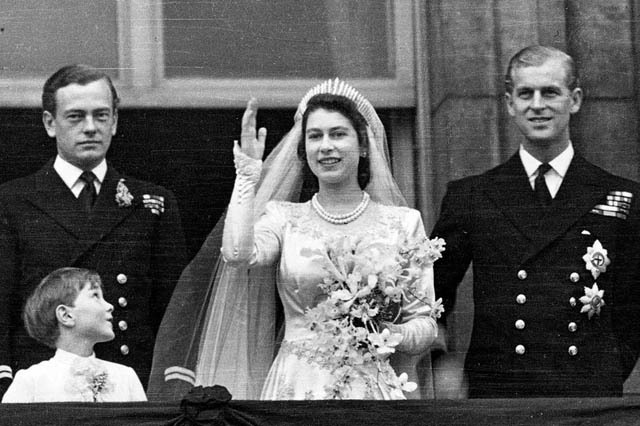 Prince William of Gloucester looks on as newlywed Elizabeth II waves from the balcony. 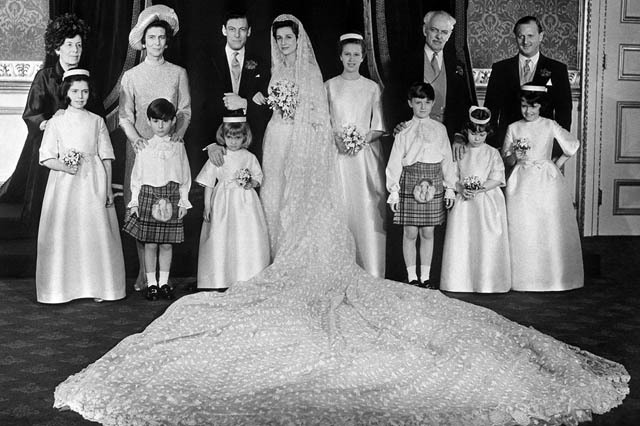 The wedding party for Earl of Dalkeith and Jane McNeil. 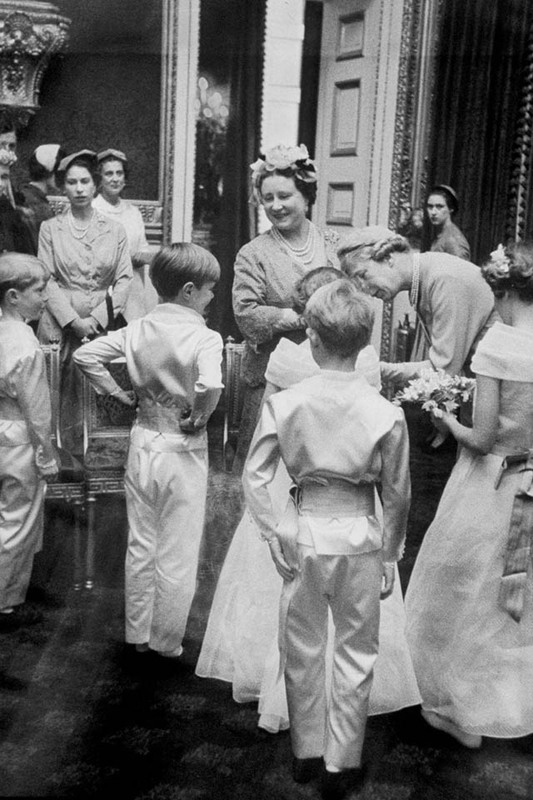 The Queen Mother greets the pageboys and bridesmaids at the wedding of John Althorp and Frances Roche. 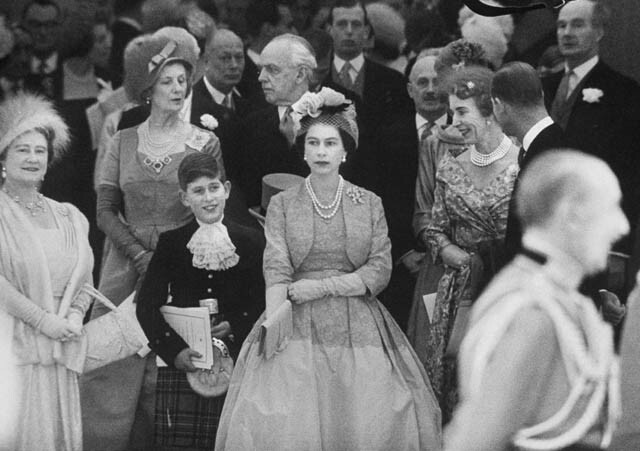 A photo of Prince Charles with his mother at Princess Margaret's wedding in 1960. 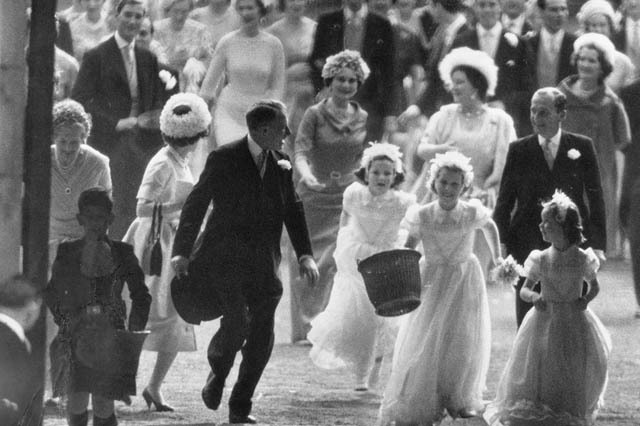 Princess Anne carries a basket of confetti at the wedding of her aunt, Princess Margaret, to Antony Armstrong-Jones. 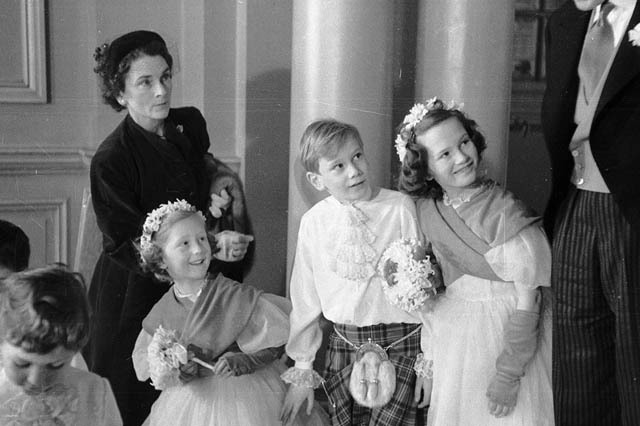 The Duke of Kent and Katherine Worsley pose with their pageboys and bridesmaids behind them at their wedding. 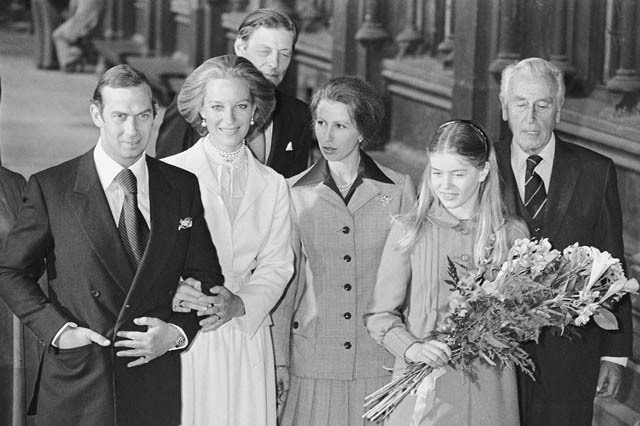 Doune Ogilvy, David Ogilvy, Archduchess Elizabeth of Austria, Simon Hay, Georgina Butter, and Emma Tennant poses with Princess Alexandra and Angus Ogilvy on their wedding day. 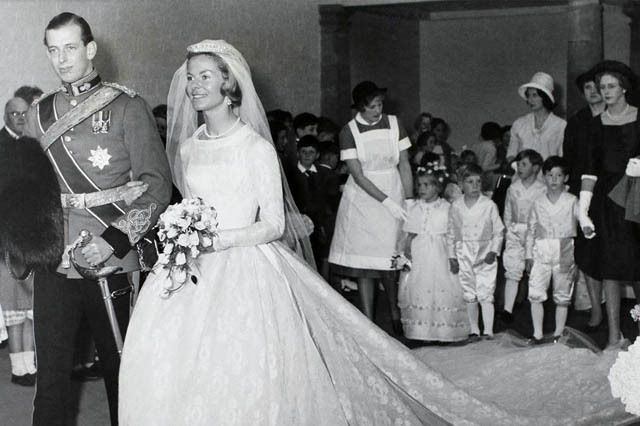 Princess Margaret's children, Viscount David Linley and Sarah Armstrong-Jones, carrying the train at a wedding. 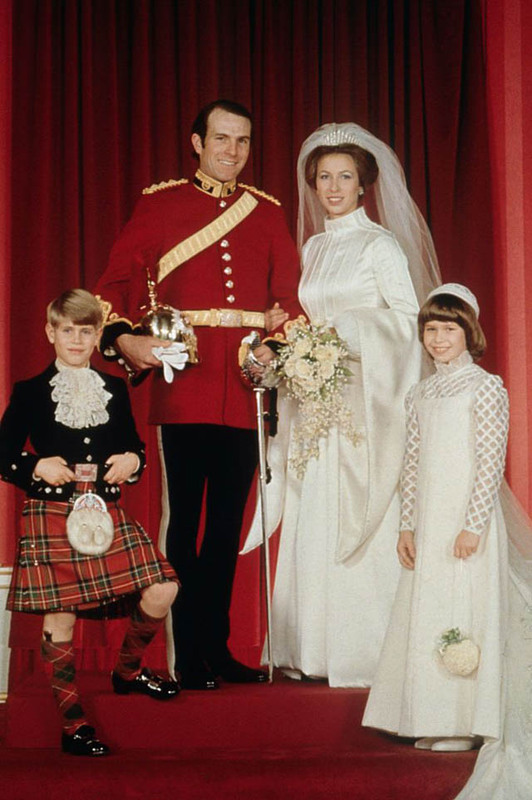 In 1973, Princess Anne married Mark Phillips, and her younger brother Prince Edward served as pageboy, while her cousin Lady Sarah Armstrong-Jones served as bridesmaid. 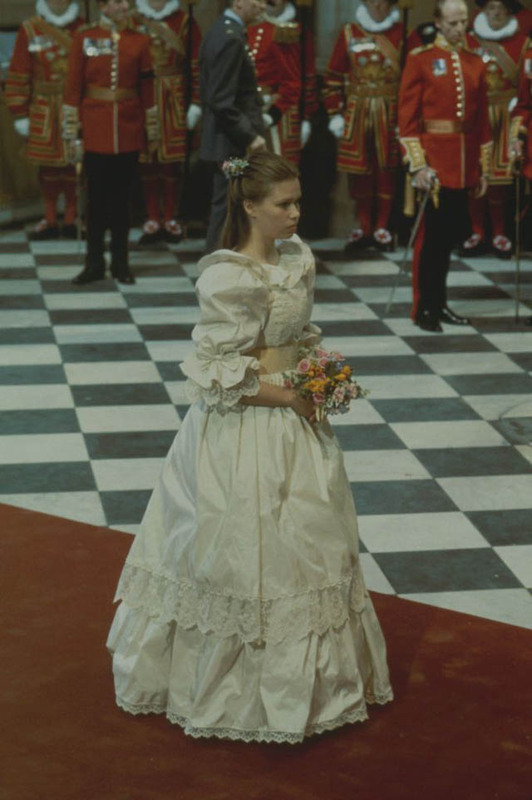 Lady Helen Windsor, daughter of the Duke and Duchess of Kent, holds flowers at the wedding of Prince Michael of Kent and Baroness Christine von Reibnitz. 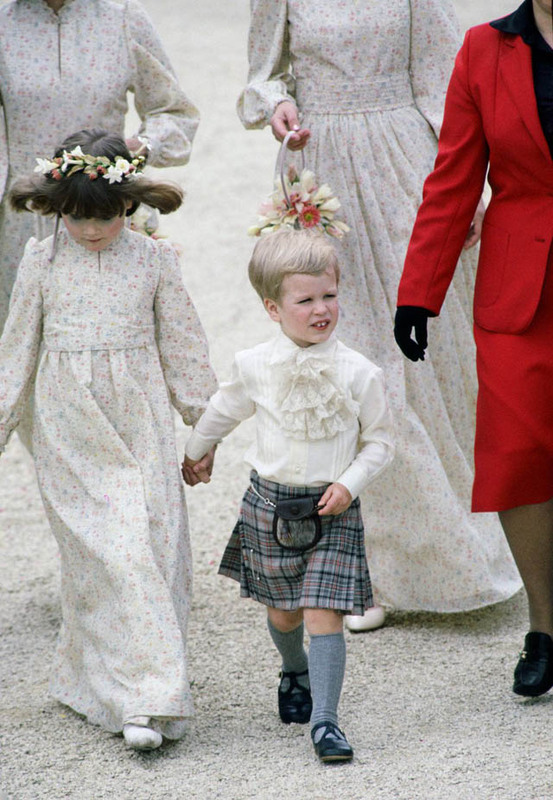 Peter Phillips as a pageboy for his aunt Sarah's wedding in 1981. 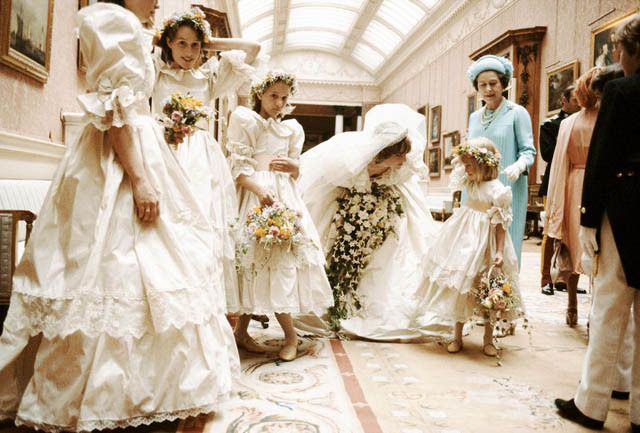 Princess Diana with her bridesmaids on her wedding day. 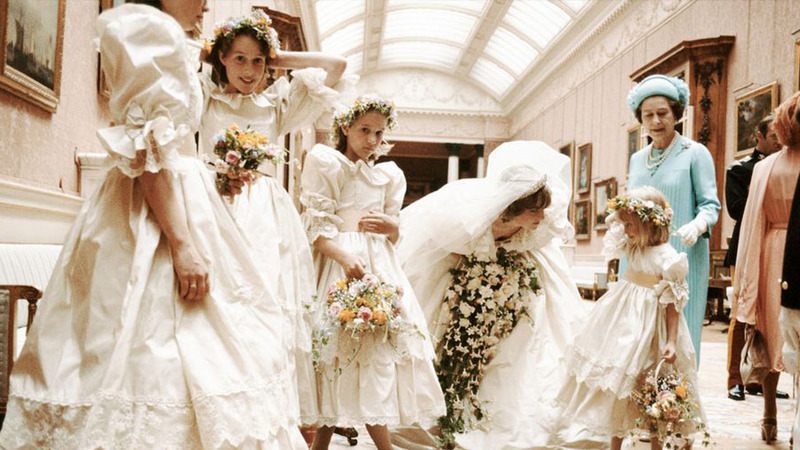 Sarah Armstrong-Jones as a bridesmaid in Princess Diana's wedding. 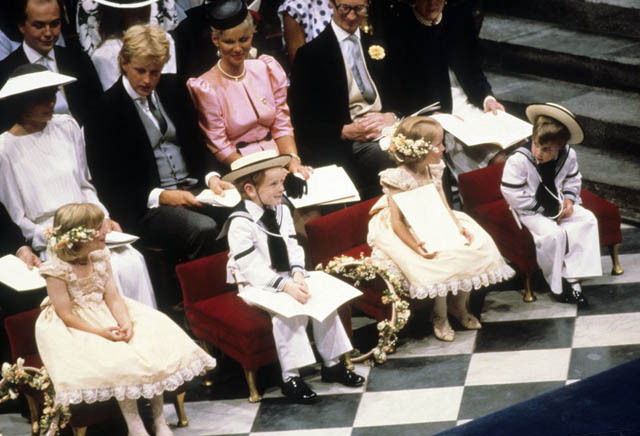 Prince William on the far right with the other bridesmaids and pageboys at Prince Andrew's wedding in 1986. 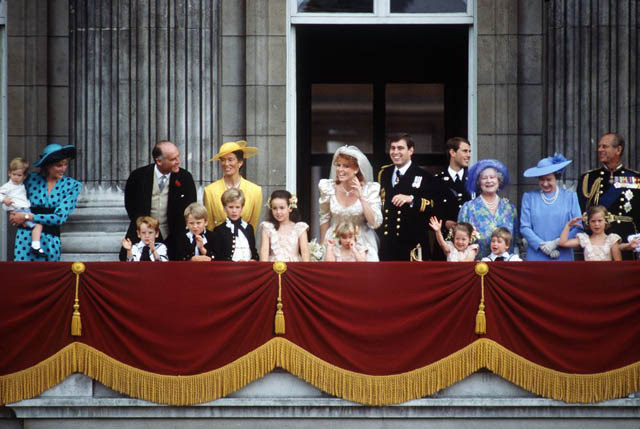 The iconic balcony moment at Prince Andrew and Fergie's wedding. 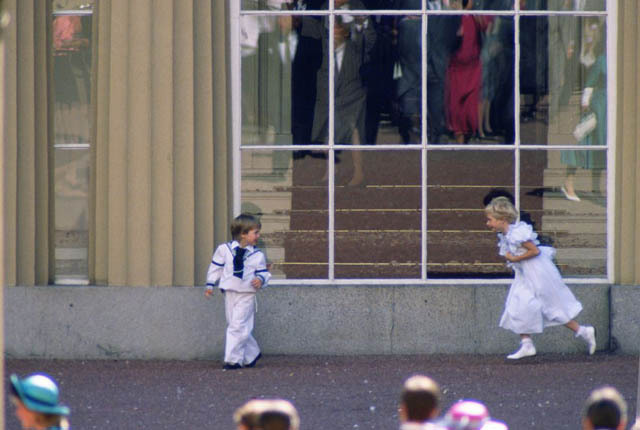 William, dressed as a pageboy, playing with bridesmaid Lady Davina Windsor after Prince Andrew and Sarah Ferguson's wedding. 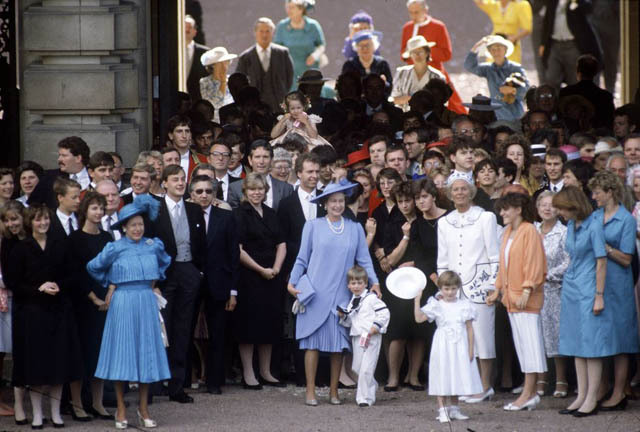 A candid of the whole royal family at Prince Andrew's wedding. 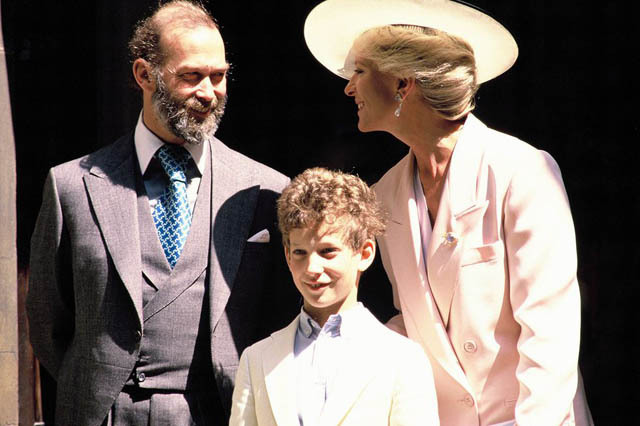 Lord Frederick Windsor was all smiles standing with his parents, Prince and Princess Michael of Kent, at the wedding of James Ogilvy and Julia Rawlinson. 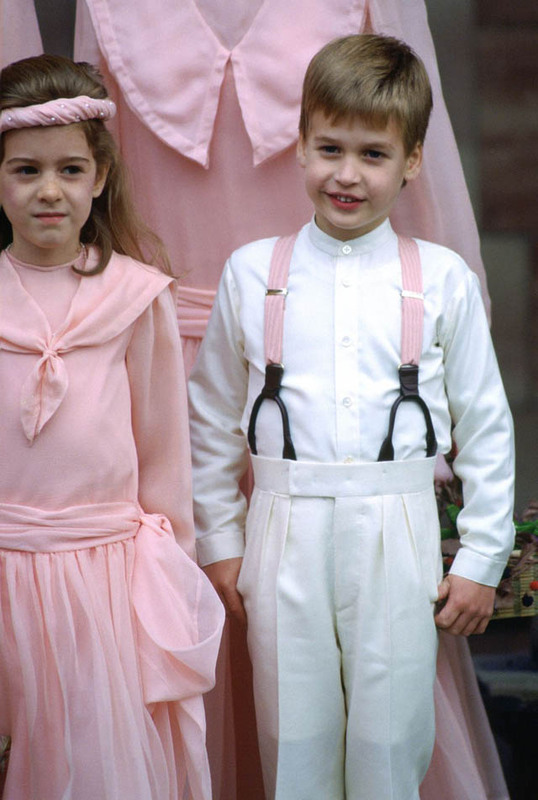 Prince William serving as a pageboy at the wedding of Camilla Dunne and the honorable Rupert Soames in 1988. 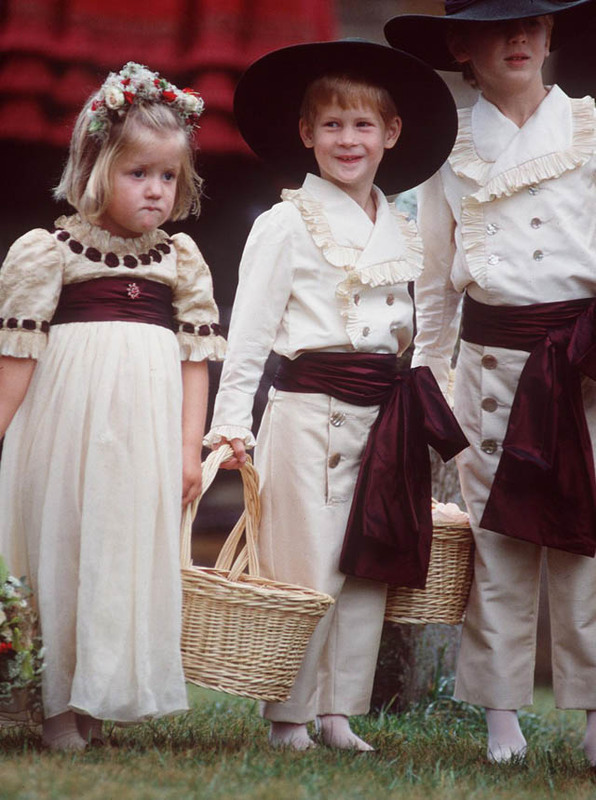 Prince Harry as a pageboy at the wedding of his uncle, Viscount Althorp in 1989. 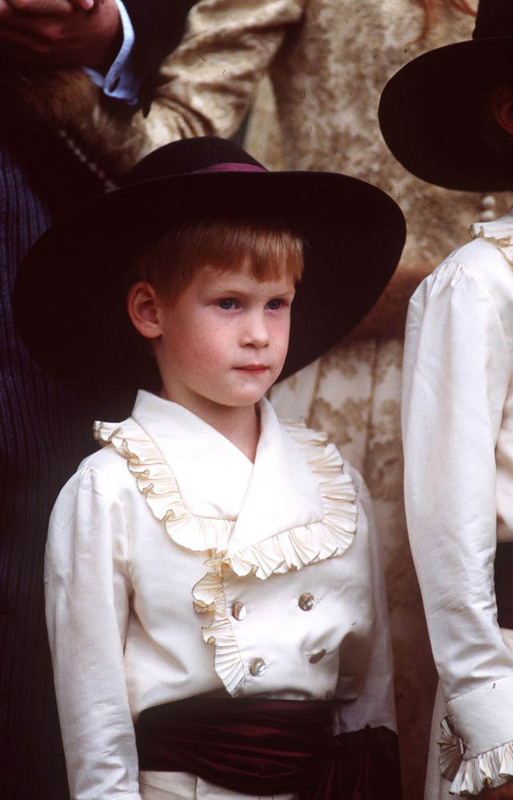 Another, more serious shot of Prince Harry performing his pageboy duties. 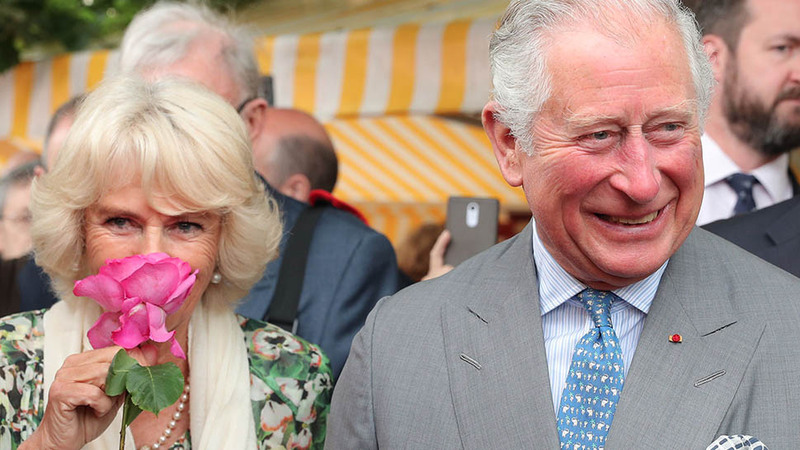 Princes William and Harry attend the wedding of Sir Francis Brooke and Katherine Hussey with their parents. 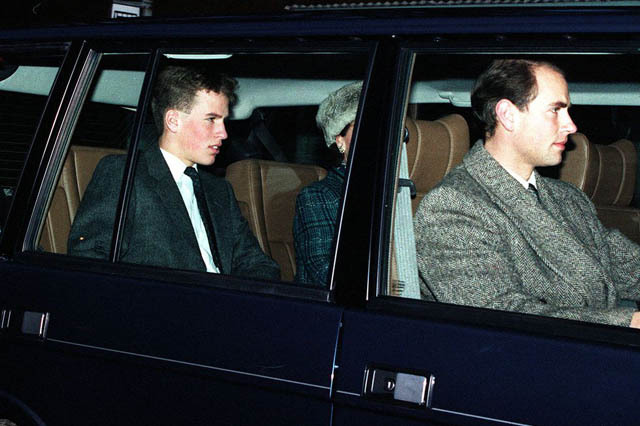 Peter Phillips arriving at his mother Princess Anne's wedding to Commander Tim Laurence. 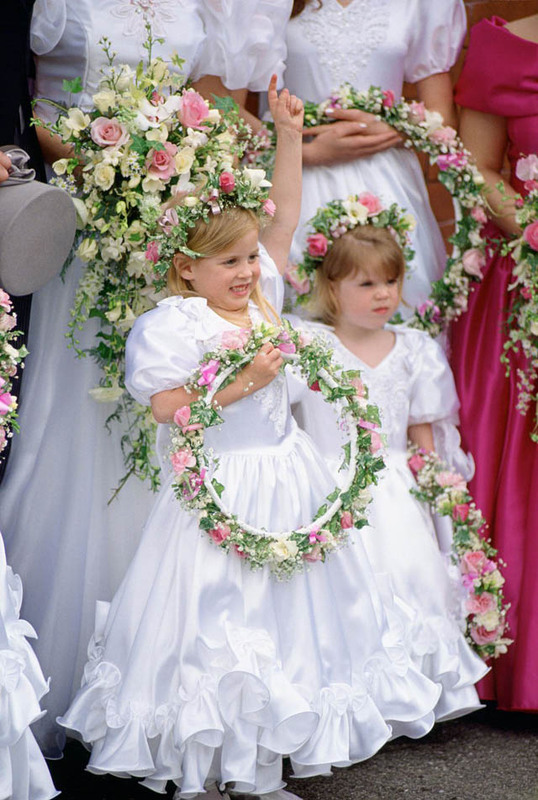 Princesses Beatrice and Eugenie at the wedding of their former royal nanny Alison Wardley in 1993. 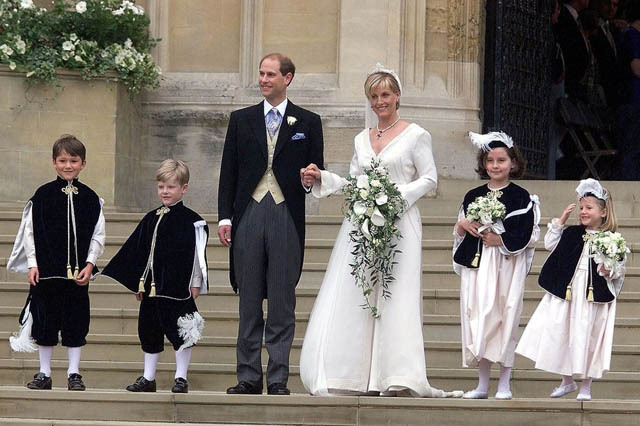 Felix Sowerbutts, Henry Warbuton, Camilla Hadden, and Olivia Taylor serving as pageboys and bridesmaids at the wedding of Prince Edward And Sophie Rhys-Jones. 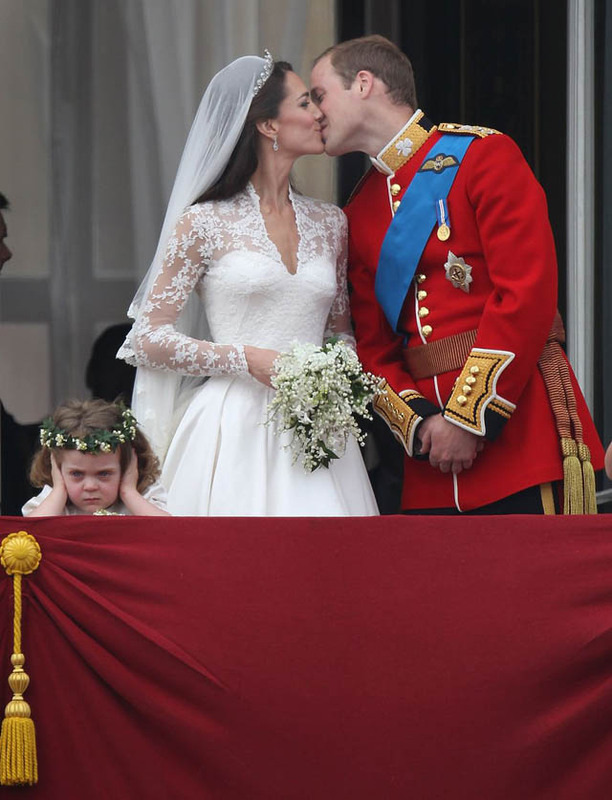 Young bridesmaid Grace Van Cutsem amused the crowd during Will and Kate's balcony kiss in April 2011. 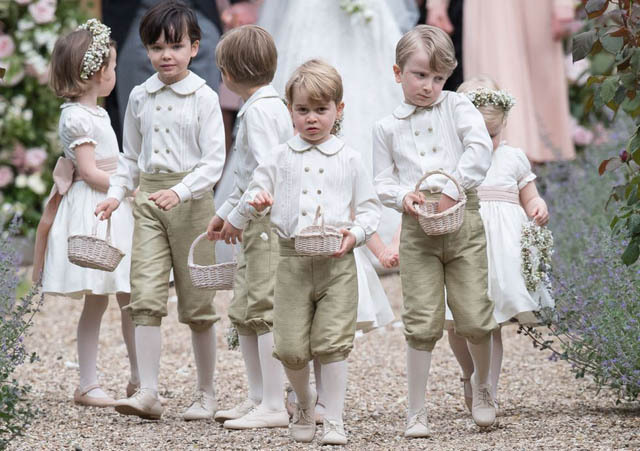 Prince George with the other pageboys at his Aunt Pippa's wedding in May 2017. 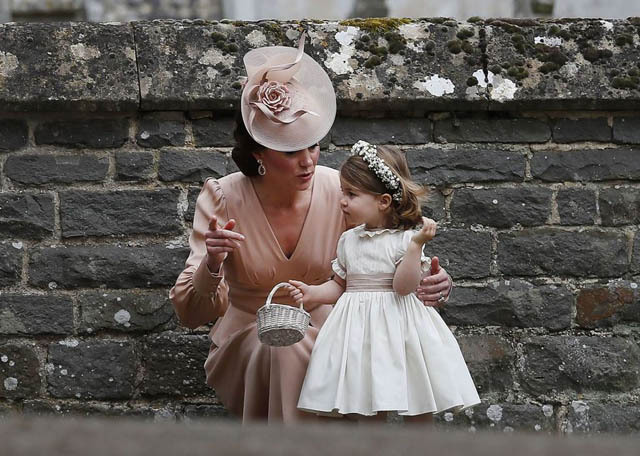 Princess Charlotte as a young bridesmaid at her Aunt Pippa's wedding in May 2017.